Don’t Act Like You’ve Never Thought About It! 7 Tips For Massaging At 40,000 Feet! 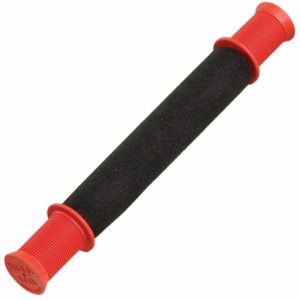 # 1 Take A Portable Roller With You! #2 Get Your Partner To Sort You Out! #4 Get Yourself A TENS Unit! #5 Consider Investing In A Massage Vest! 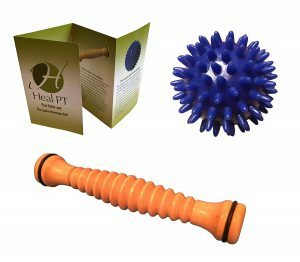 #6 Get A Spiky Foot Roller Ball! #7 Follow The IFE Tutorials! Plan, Plan, Plan, & Then Plan Some More! What’s Your Favorite Tips To Massage On A Plane? San Francisco to Singapore: 15 painfully long hours of sitting on an uncomfortable chair in a cabin full of recycled air. Singapore was a blast though, and i’d do the whole thing again in the blink of an eye. Most travel enthusiasts, myself included, absolutely detest the flying part. 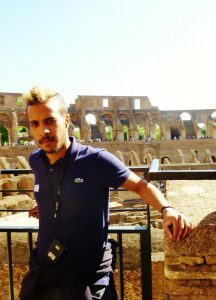 It’s like torture and suffering before the excitement of discovering a new country, culture, and experience. But it got me thinking, does flying on an airplane really have to be all that bad? What if we could make it a bit more bearable? More importantly how can we make it more bearable? The good news is there’s a couple of ways, and massage is one of them! Don’t act like you haven’t thought about it either! One day in the not so distant future, this post will be meaningless as major airlines will integrate massage capability into their chairs. Until then, here’s 7 “massage on a plane” tips for my economy class peeps to help you get through that next flight! Don’t underestimate the power of the roller. This simple contraption is so powerful, even therapists use them! When most people think of rollers, they think of massive circular foam rods! This couldn’t be further from the truth. Say hello to The Roadster from Tiger Tail! 11 inches of massage therapy on the go, and small enough to chuck in a regular sized backpack. Calves—Tuck the roller behind your calf, and using both hands slowly roll up and down. Quads—Similar to the calves, you should roll out your quads, one at a time. Neck—Place the roller beneath your neck, and use your hands to move the roller up and down. Remember, slow and steady wins the race. No point rushing when you still have 12 hours and 57 minutes left to kill! This next tip works especially well if you’re travelling with your significant other. Agree to give a massage, for one in return! There’s a thing called self massage, and it’s more useful than you think! The video below shows how to self massage specifically for neck relief, but the same principles apply more or less for most other areas of the body. Will you look like a weirdo while doing these techniques? Yea maybe but who cares! You’re much smarter than the rest of the passengers who sit there and allow themselves to feel like crap. 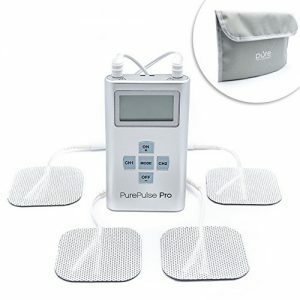 AKA electronic pulse massager. These small, portable devices are perfect for alleviating pain while on the go! Stick the electrodes on to your target area and pick from 8 preset programs. Make sure you carry extra AAA batteries, cause that’s what this bad boy takes! There’s a company by the name of AiraWear who’ve been working to develop the world’s first massage hoodie. How does it work? Small compression nodules have been installed in the back part of the jacket. When activated, these little nodules provide a mild or high intense massage. How do you operate this thing? Turn on the jacket and wear it on. Download the app and pick your desired mode. All in all this jacket will massage your shoulders, middle and lower back. OMG! Where can I buy one!? You’d have to get in touch with the guys over at AiraWear because I think they still may be funding the project on Kickstarter. If you do actually manage to get your hands on one of these bad boys, be sure to let me know how it works! I took mine on my last trip, and boy did it prove useful! You can find spiky foot roller balls pretty much everywhere. They’re basically palm sized balls that have cushy, soft spikes on them. Simple, Versatile, And Incredibly Effective! How do you use these “porcupine balls” while in flight? Place the ball beneath your foot at the center of your sole. Slowly roll the ball back and forth, and repeat over and over again. Do the same for the other foot! Once you’re done rolling your feet, grab the ball and squish it in your palms to exercise your wrist. Next, take the ball and roll along your entire arm. IFE is short for in flight entertainment. If you’re flying intercontinental, you most likely will have some sort of IFE program. Most people binge watch movies, series, and all kinds of other stuff to pass time. However, I strongly recommend you watch the tutorials on exercise and stretching while in flight! These tutorials consist of simple stretches and exercises that can really improve blood circulation and overall well being. Even though this last tip has nothing to do with massage per say, I wanted to speak about it because it can really change your flight experience in a positive way! Medicine—Always plan to carry pain killers and anti nausea pills. Airlines usually have meds on board, but I like to carry my own just in case. Don’t Take Things You Won’t Use!—The less you carry on board, the less you have to worry about. Ditch the non essential crap! Plan To Carry PJ’s!—Pffft why would anyone wear PJ’s on an airplane….that’s so ghetto! Yea it probably is, but I ain’t complaining when i’m all cozy and comfortable and you’re not! Plan To Carry A Portable Massager—Whether that’s a TENS unit, a roller stick, or a spiky ball. Massage and stretching are the 2 things that’ll make you feel good while others are passed out from drinking 6 wines…which brings me to my next point! Water Over Alcohol!—I know it’s free and hard to resist, but get a grip on yourself already! Alcohol and flying don’t mix well. Leave it for when you’re on the ground instead. Chuck em in the comments below and i’ll be sure to take a look! Hope you enjoyed reading, and if you did be sure to share on the socials. Happy flying and i’ll see you on the other side!